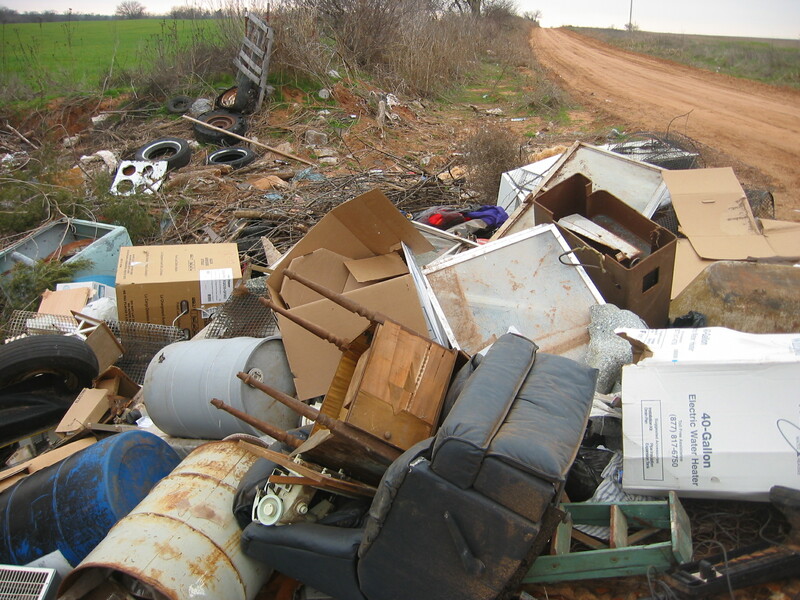 Due to the increased problem with illegal trash dumping on county right of ways Tillman County has implemented a new reward program for the arrest and conviction of illegal dumping. 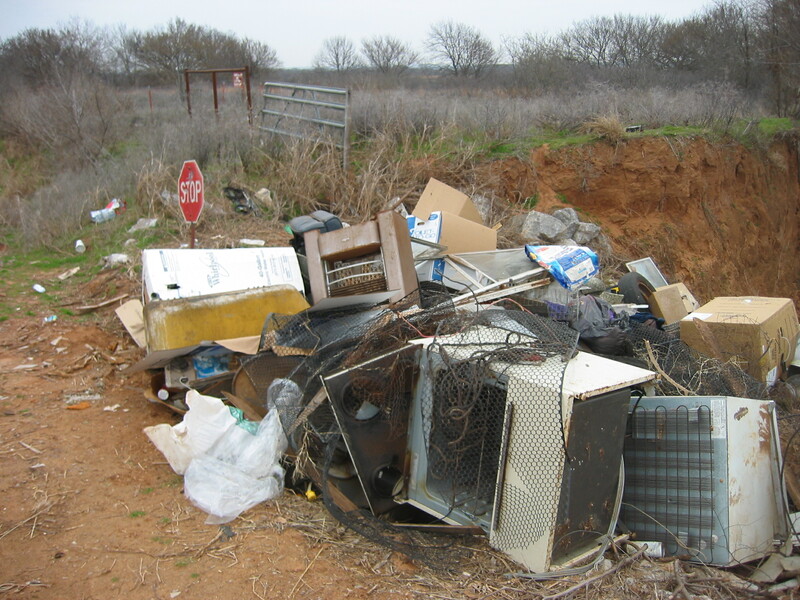 Any person seeing illegal dumping along county roads can obtain up to a $250.00 reward by calling in to our local sheriff department at (580) 335-3013. 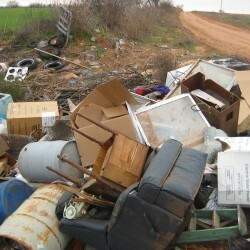 Rewards will be issued based on amount and type of items dumped and the information must lead to a conviction. 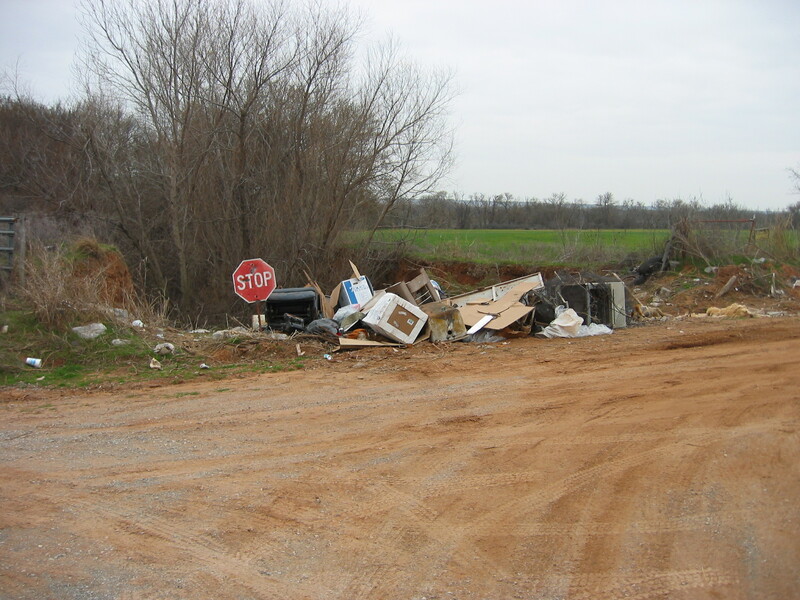 The Board of County Commissioners will over see the reward program. If you call in you do not have to give your name. You will be issued a contact number for future reference. Please make sure when you call to have all available information such as, location, time of day, tag number, vehicle description, pictures and names of persons in vehicle if possible. 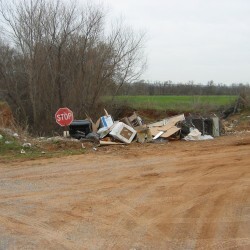 Any dumping of any substance on county right of ways is illegal. Fines up to $5000.00 and up to a year in jail can be levied. 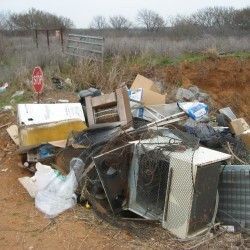 Keep our county clean by turning in all illegal dumping. Employees of Tillman County and their immediate families are not eligible to receive rewards in this program.